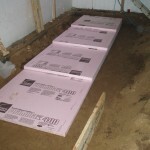 These images show the concrete being poured. 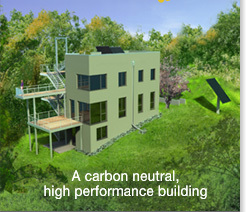 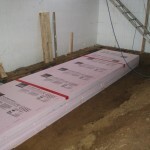 We specify fly-ashe as filler for the concrete. 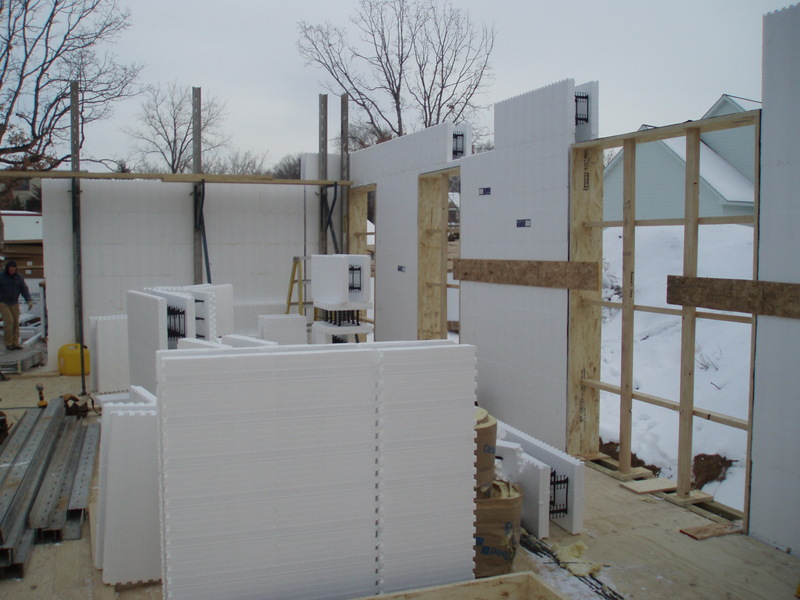 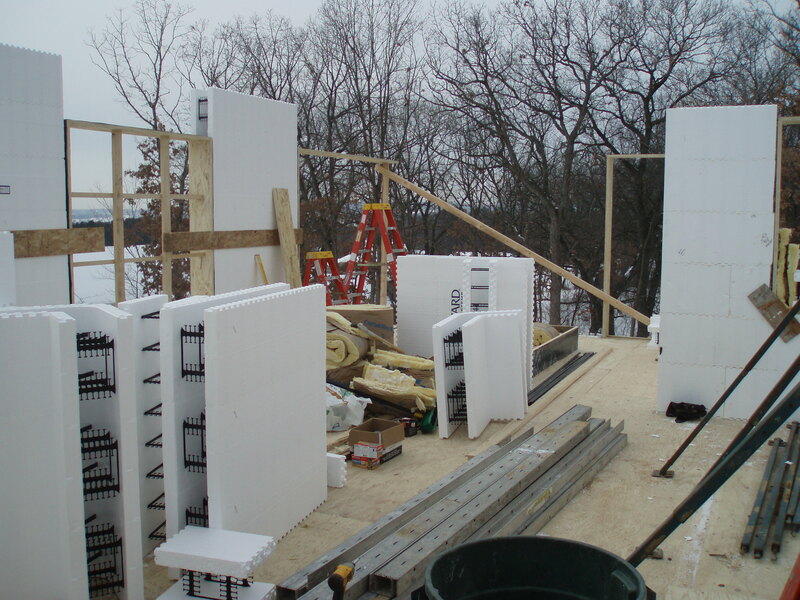 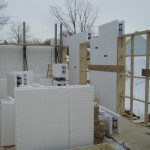 Due to the fact that we are pouring into ICFs we can omit additives typically used for cold temperature pours. 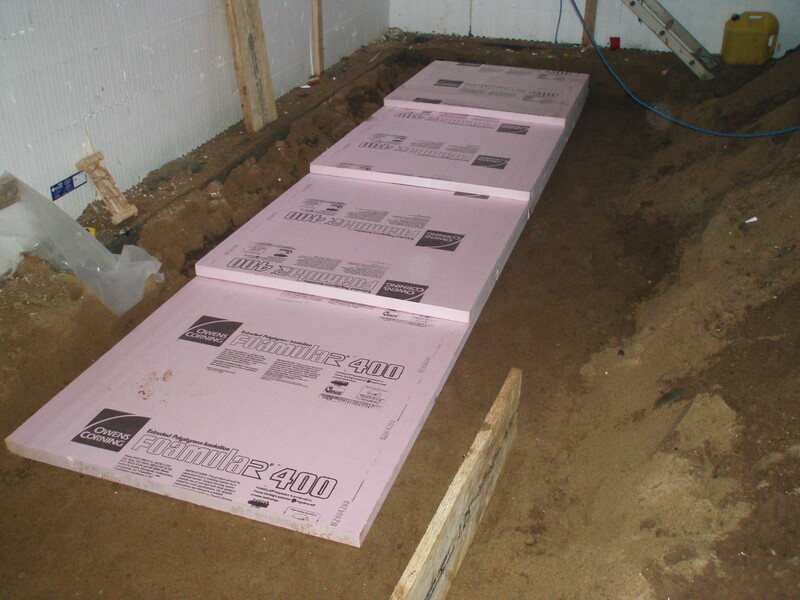 The insulation shells on either side of the concrete core keep the concrete sufficiently warm. 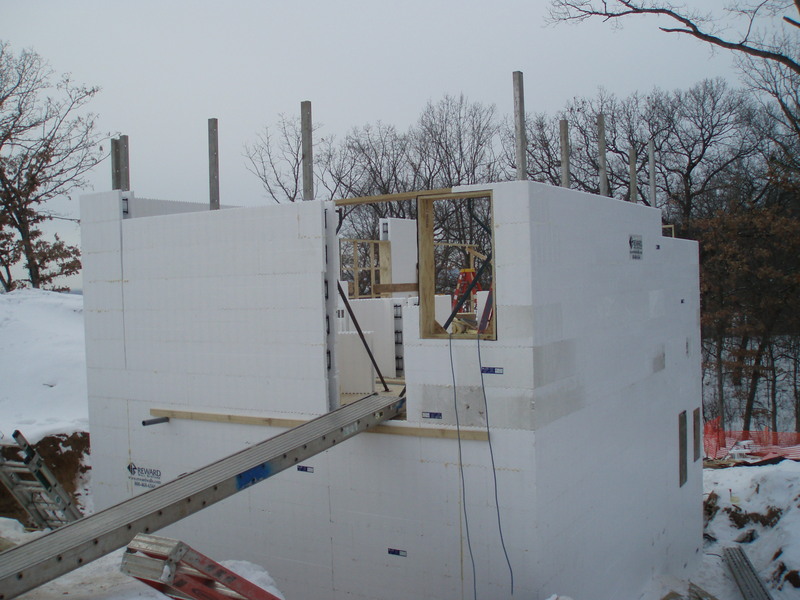 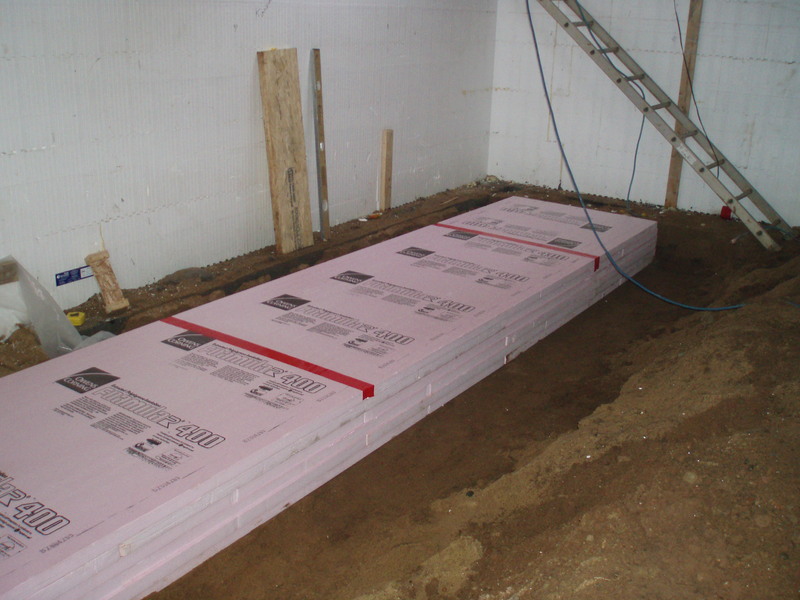 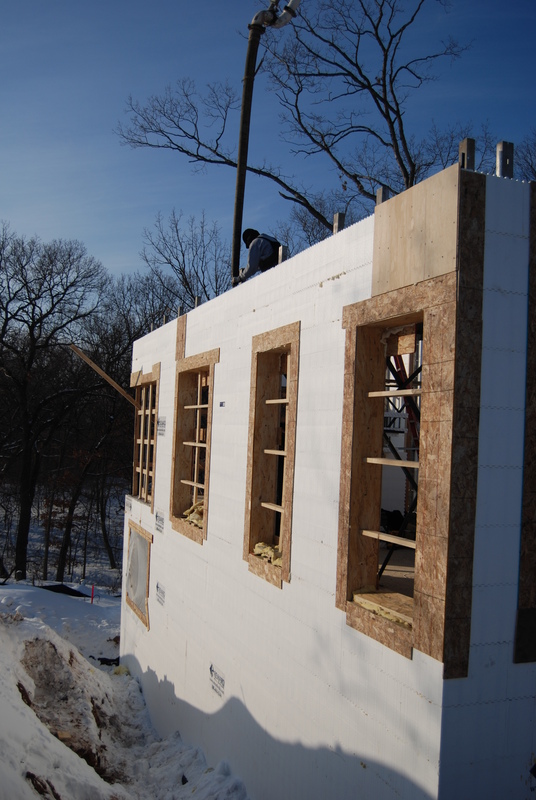 At the top of the pour, we use temporary pieces of insulation to avoid frost exposure. 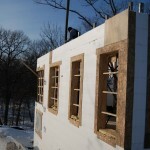 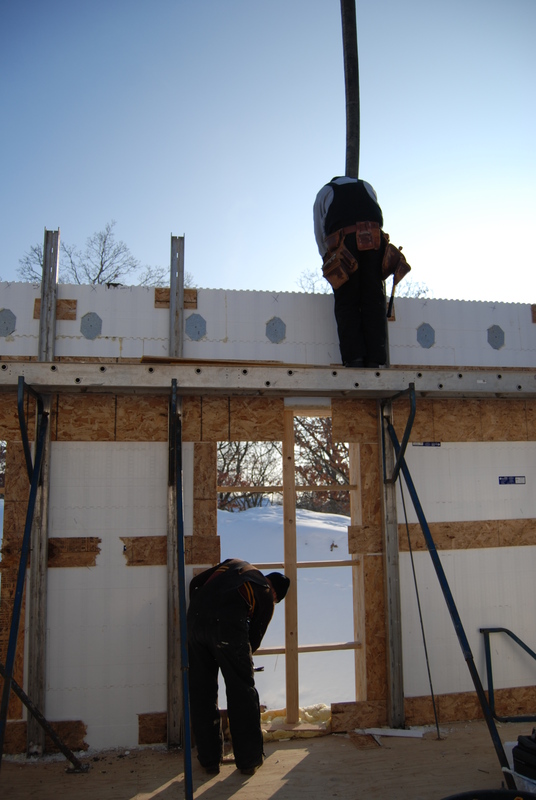 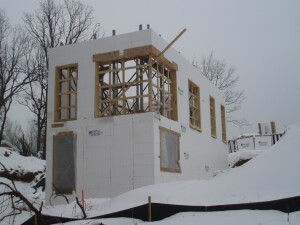 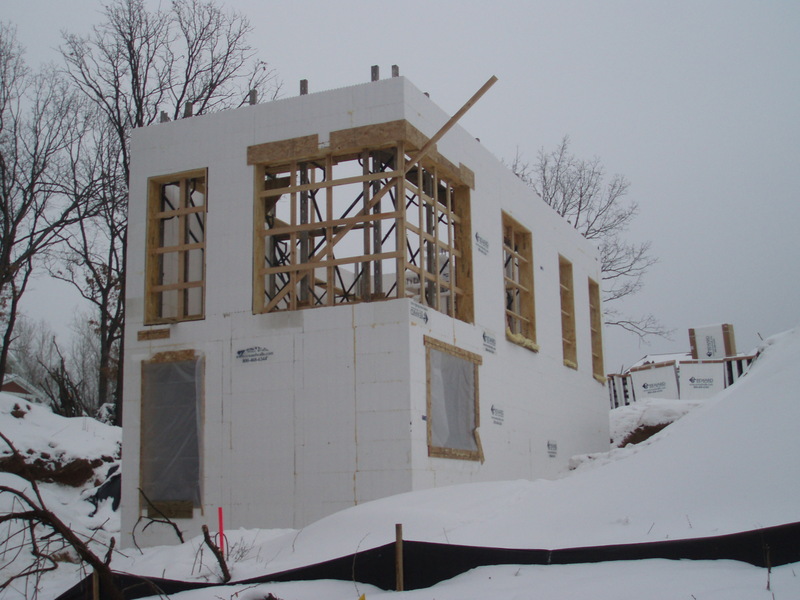 The plywood braces around windows and at junctions and corners help stabilize the ICFs during the pour. 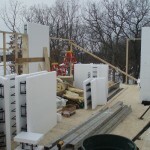 They are later taken off and recycled throughout the entire project. 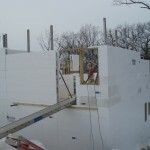 Some of the plywood will likely find its way into the next ICF project.